Yup. Those are MY cupcakes! All my blood, sweat and tears are right there on that porcelain platter. How did they get there you ask? Well, it was shear magic! I had just parked at the grocery store with my boys, ready to take on the adventure of buying all the ingredients I needed for my still mind-blowing weekly order when SHE pulled up next to me. Wholesale? What was she talking about? I still forget that I advertise my business on my car. Still with my mouth hanging open I nodded and we went our separate ways. First, Mrs. K and The Doctor and now this?! How blessed am I?! She wanted MY cupcakes! But wait, I don’t even MAKE cupcakes. So the research began and so did the baking. I had called her when I wasn’t in a state of shock anymore and set up a sampling meeting with her the next day. I didn’t want her to forget who I was so that’s why things happened so quickly. Rance and I were up into the wee small hours of the morning baking the “perfect” cupcakes. We decided to go with Gluten-free cupcakes so that we would be offering something new and different. I felt very confident about this choice but for some reason I had this little voice in my head telling me that they needed to be Vegan instead. I know that Vegans have it rough when it comes to going out places and enjoying food or even purchasing food that’s “safe”. I am one after all. And yet I still hesitated. If I would have done it from the get-go I would have saved a lot of time and money. 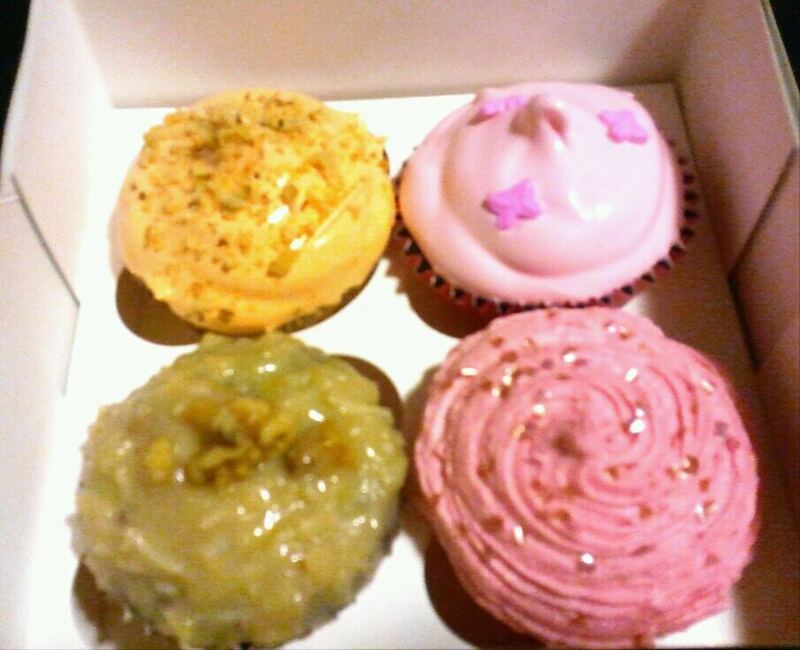 Still, I took my finally finished sweet little box of Gluten-free cupcakes in to see her. Not bad right? She thought they were great! But what was the first thing she asked me about them? Dought! Oh no she didn’t! Yeah. She did. I quickly told her that they were not but that they COULD be because afterall, if she wanted them I would find a way to make them and make them awesome! 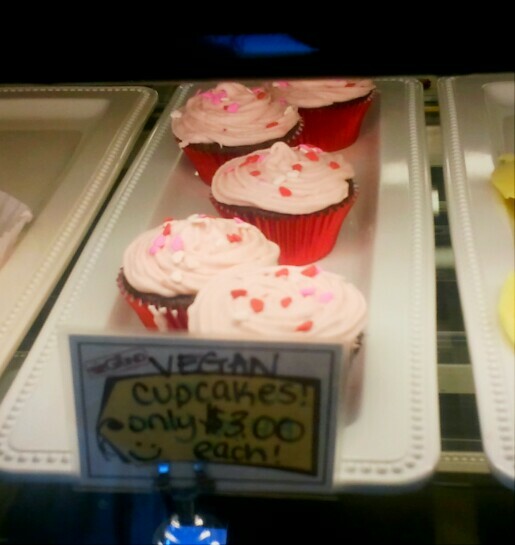 She said she wanted to order two dozen of my best Valentine’s Day Vegan cupcakes and see how they do. She use to have a “cupcake girl” who made Vegan cupcakes for her and they sold like nobody’s business. The girl went on to win the show, “Cupcake Wars” and rode off into the sunset to start her own shop somewhere. This was going to be really hard to compete with but I was up for the challenge. I had to make something animal product free and yet still taste amazing. Had this been an entree, we would have been golden. But, it wasn’t. So I started to research Vegan cupcakes. I finally decided to piece my own recipe together and pray for perfect cupcakes AND perfect frosting. And that is exactly what I got. First shot! Oh the heavens were smiling down on me that day. I was so giddy with excitement. It was like I had birthed another perfect child. Dark chocolate cupcakes with FRESH strawberry butter cream frosting were my third babies and they were VEGAN. Victory was mine. I delivered the cupcakes the very next morning and out on the shelf, in the case, they went! Based on how well they sell will determine how many more she orders from me and how soon. More cupcakes, more themes and MORE flavors to be born. Thank you, Amber! You are such a good friend. We love you guys! I would like to thank for creating this interesting blog and i got a good knowledge to read your informational post.